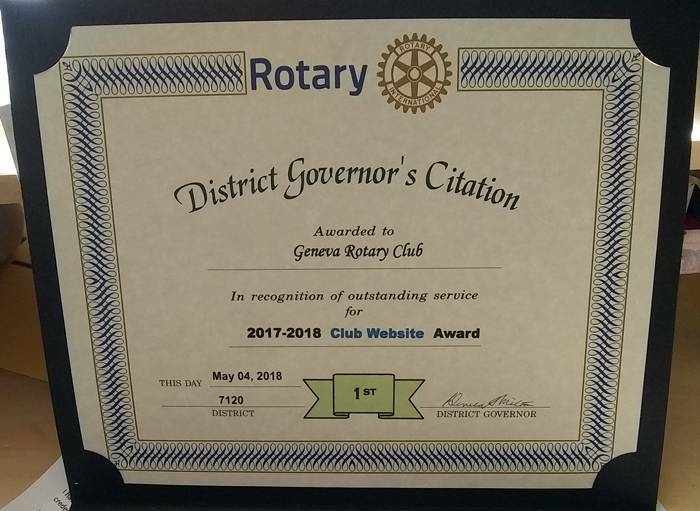 The Geneva Rotary Club was presented the District Governor’s Citation for the 2017-2018 Club Website Award at the annual District 7120 Conference in Saratoga Springs May 4 to 6. 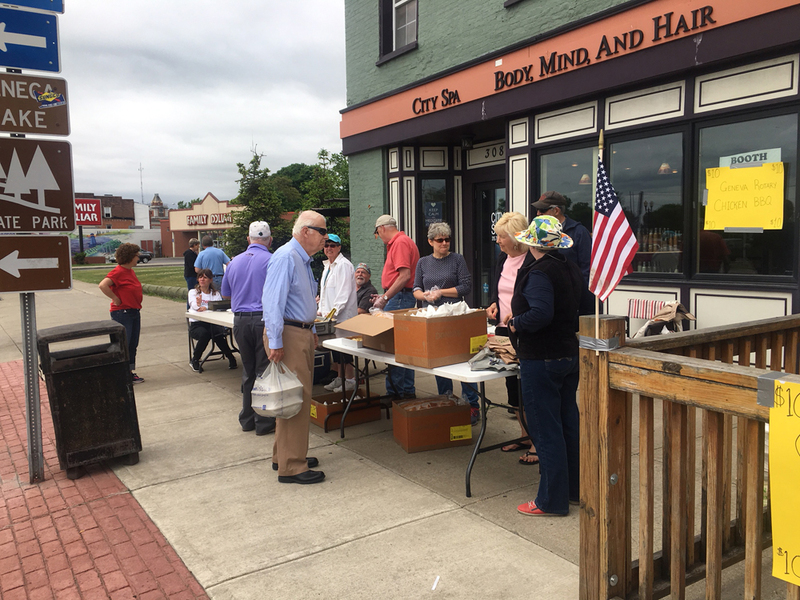 District 7120 is composed of 72 Rotary clubs in the Rochester/Finger Lakes region. 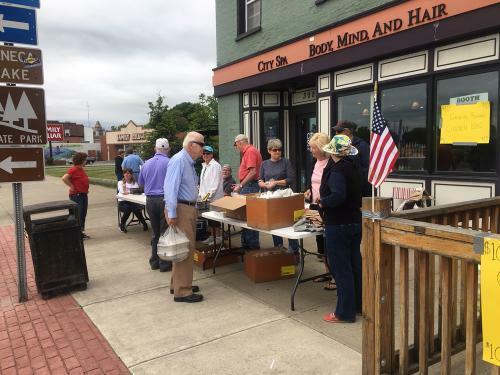 “We are proud of our website and it is a great tool to communicate with our club members and people interested in what we do,” said club President Tara Rago. The Geneva Rotary website can be found at genevarotaryclub.org. The Rotary webmaster is Rotarian Penny Hankins of the Local Latitude website design company. The website was originally developed by Rotarian Ford Weiskittel. Rotary International is composed of 1.2 million men and women around the world who donate their expertise, time and funds to support local and international projects that help people in need and promote understanding amongst cultures. If you are interested in serving your community in a new way and are interested in becoming a Geneva Rotarian, please contact secretary@genevarotaryclub.orgfor more information or visit us on our website at www.genevarotaryclub.org. 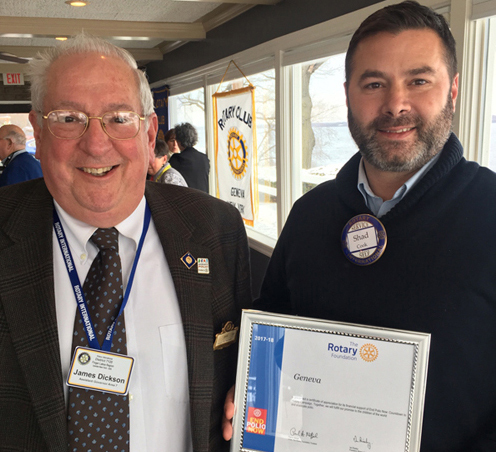 Geneva Rotary meets every Wednesday at noon at Geneva Country Club.